For-profit colleges get a pretty bad rap. And frankly, a lot of them deserve it. The vast majority of high-profile corruption cases on the higher education landscape occur in the for-profit sector. And evidence suggests that the motives, priorities and tactics of for-profit colleges often make them particularly susceptible to deceptive recruiting practices, poor quality control, and the conferment of meaningless degrees. On the other hand, there are some schools that operate with a for-profit model but offer real technical skills, applicable professional training, and readily accessible online courses to those who might not otherwise have access. Some for-profit schools may actually offer value commensurate to their cost. The National Association for College Admission Counseling (NACAC) — of which we are a proud member — notes that colleges and universities essentially fall into three broad categories  — public non-profit, private non-profit, and for-profit. While online college options abound in each of these categories, NACAC points out that most for-profit schools operate entirely online and that they are sometimes referred to as career colleges. So if you are seeking an online college education, it is important that you understand the differences between for-profit colleges and non-profit schools. The broad consensus is that non-profit colleges or universities are generally a safer bet and a smarter investment of your money. In fact, according to NACAC, for-profit colleges typically cost 20% more than their non-profit counterparts. But what really differentiates for-profit colleges from non-profit colleges and universities? What is it that makes for-profit colleges so much more susceptible to shady practices than non-profit private and public schools? And if you must choose a for-profit college for your education, how can you do so wisely? We’ll explore these questions and others in order to give you a clear sense of the difference between for-profit colleges and non-profit schools, as well as provide you with a roadmap to the very best school for your needs and situation. If you are exploring the for-profit college marketplace, you can jump directly to our Guide to For-Profit Colleges: What You Need to Know. What does a for-profit college mean? For-profit colleges are educational institutions that operate with a profit motive. Pretty straightforward, right? Well, there’s a little more to it. Because for-profit colleges and other for-profit educational institutions are designed to make money, many of their operational practices and decisions are designed around economic incentives as opposed to educational priorities. As a result, for-profit colleges may invest heavily in priorities like recruitment, marketing, and executive bonuses. And most importantly, because for-profit colleges have investors who expect to make money, they must turn a profit. This profit often comes at the expense of priorities like improving curriculum, hiring qualified instructors, and investing in educational resources. For this reason, you are advised to shop with caution when looking at for-profit educational opportunities. What is a for-profit college vs nonprofit? What is the difference between nonprofit and for-profit? The most important distinction between for-profit and non-profit colleges is the way that revenue earned by the school is invested. For-profit colleges have investors that they must answer to, and these investors expect to make a profit. This means that for-profit colleges operate with profitability as their chief imperative. Money earned by the school may be used to pay out investors and award bonuses to executives, as well as sustain the operation's profitability through aggressive marketing and recruitment strategies. By contrast, non-profit colleges — whether private or public  — must reinvest the money earned through enrollment into the educational mission. The result is usually a more consistent and reliable quality of education, instruction, and curriculum. How do for-profit colleges work? Most for-profit colleges are exclusively online. This does lend itself to one of the chief benefits of attending a for-profit school. Many of the biggest for-profit college companies — like Phoenix University and Kaplan — are available to students living anywhere. They operate through an accessible online model that typically admits students regardless of prior academic performance. This means that for-profit online college is sometimes the only point of access for individuals seeking to build new skills or update existing knowledge. For working adults in particular, some online for-profit models of education can be attractive as a way to enhance professional attributes. In many cases, the skills and knowledge you’ll gain at a for-profit institution have greater value than the certification or degree you’ll receive from said school. Indeed, you should be warned that while you can gain practical skills and knowledge, some employers may hold for-profit credentials in lower regard. Are there any good for-profit colleges? There are indeed for-profit colleges that offer practical skills and meaningful knowledge. There are career colleges, competency based education models, and technical training schools that operate on a for-profit model, but which can provide quality curriculum and instruction. One of the best ways to determine the quality and credibility of a for-profit college is to evaluate its accreditation. Accreditation is the stamp of approval from a qualifying authority indicating that a college or university provides an educational experience that is current, of high quality, and adherent to certain operational standards. Accreditation can be divided into two broad categories  — regional accreditation and national accreditation. Regional accreditation is held in higher regard, to the extent that it can be extremely difficult to transfer credits from a nationally accredited school to a regionally accredited school. If you’re seeking a “good” for-profit college, start by seeking for-profit colleges that are regionally accredited. To learn more about accreditation, check out Accreditation of Colleges and Universities: Who’s Accrediting the Accreditors? If you’re trying to make the leap from a for-profit college to a private or public non-profit school, check out our discussion on transferring credits from nationally accredited colleges to regionally accredited colleges. Are Ivy League schools for-profit? No. Ivy League schools may be expensive, but they are non-profit institutions. All eight Ivy League schools are private non-profit schools. Each of these highly-regarded institutions fits the most important qualifications of a non-profit institution. The majority of money earned through the operation of each Ivy League school is re-invested into the school for state-of-the-art equipment, infrastructural maintenance, courtship of top educators, meaningful research, student activities, and the countless other experiences that make college so enriching. This does not, however, mean that you can’t take Ivy League classes online. While for-profit colleges are technically private companies, the phrase private school typically refers to an institution that is both not-for-profit and tax exempt. By contrast to public colleges and universities, private non-profit schools draw less funding from state and federal coffers. This means that attending a private college may be more costly than a public one. Still, by contrast to for-profit colleges, private non-profit colleges and private non-profit universities reinvest their funds into their educational missions. Still interested in navigating the for-profit sector. Check out our Guide to For-Profit Colleges: What You Need to Know. 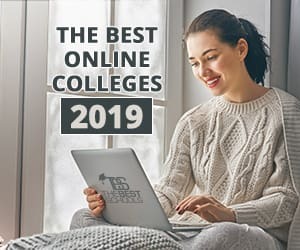 Or, if you’re interested in finding out more about the very best online colleges, regardless of their business model, check out The Best Online Colleges for 2019. Accreditation of Colleges and Universities: Who’s Accrediting the Accreditors?